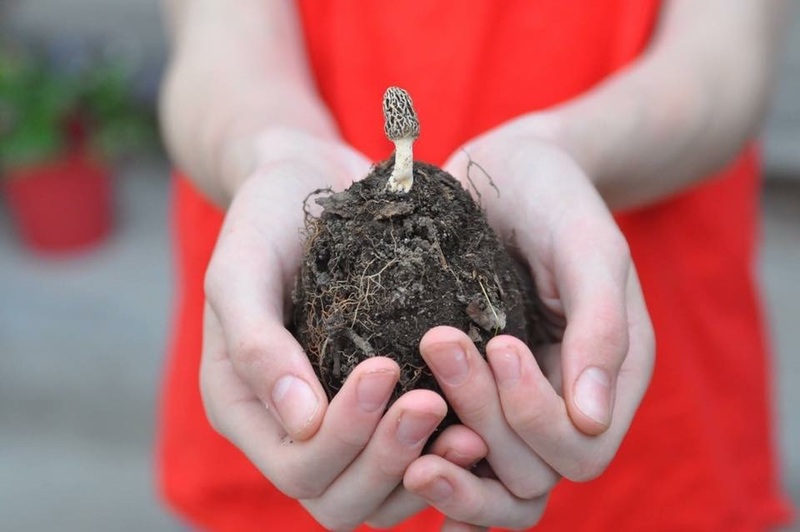 This spring, Omni Hotels & Resorts is celebrating the magic of morel mushrooms. Morels are an earthy mushroom that provide versatile twists on classic dishes. Resident morel huntress, Paulette Hawkins, is here to teach us morels 101. Paulette is the Director of Operations at the Omni Customer Contact Center, located in Omaha, Nebraska. Outside of work, Paulette is the admin of the Nebraska Morels community Facebook page where she helps fellow mushroom enthusiasts track finds across the state. During the fleeting morel season, Paulette can often be found in the woods in her off-time, enjoying the sunshine, fresh air and time with her family searching for the elusive morel. 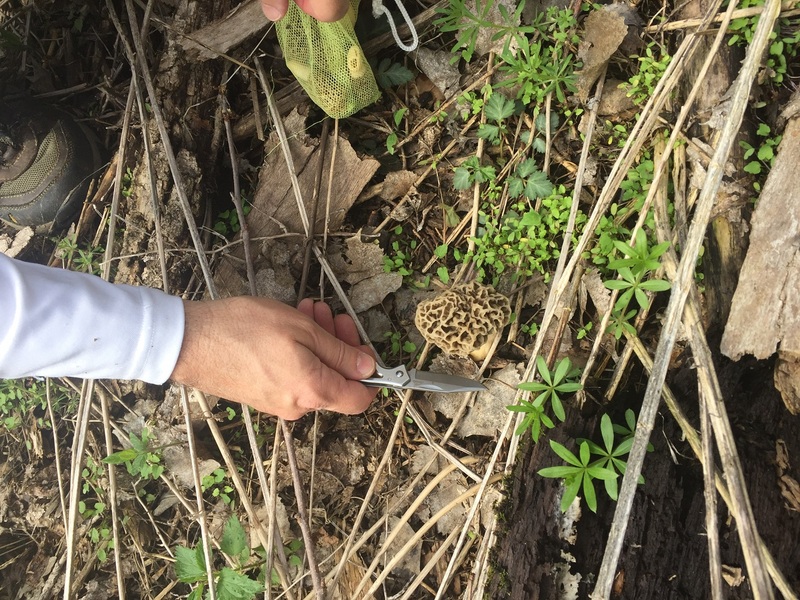 We’ll dive into the nitty-gritty of where to hunt your own morels below with a Q&A session with Paulette. Let’s face it, although we would all love to learn new places, no one is going to tell you their location. Yes, there are a lot of mushrooms in any given location, but too many people see this and other public pages to risk everyone showing up! With the exception of those who have been granted permission to private land, most of us are hunting on public grounds. 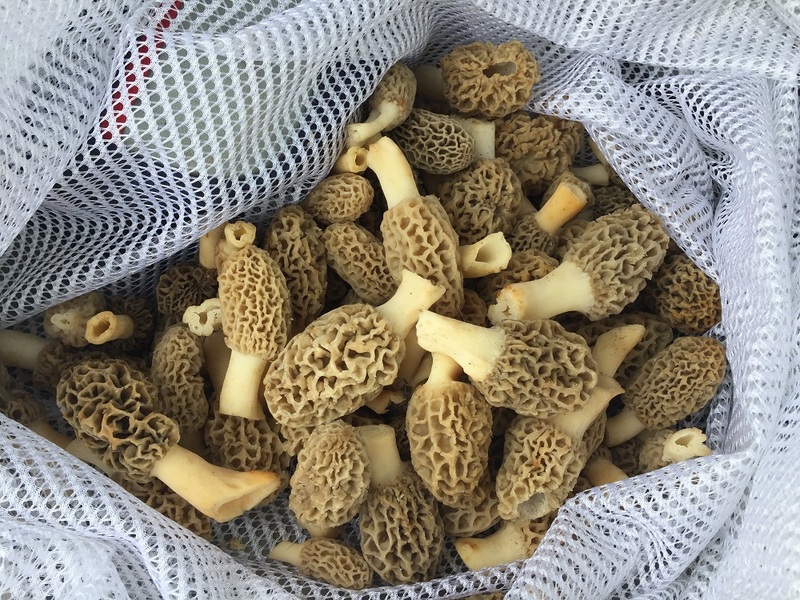 If you are lucky enough to be in a state that produces morels, be sure to research and understand state regulations regarding permissible areas to hunt, along with any requirements that may be in place. Your local Game and Parks Commission is a great place to start! Prime areas include the woods surrounding rivers or streams. What do I wear and what should I bring? A hat for sure to protect your eyes from branches as you are walking through the woods. Long sleeved shirt and pants, hiking boots if you have them. If it’s raining, a cheap disposable poncho makes all the difference in the world. Bring a bottle of water and a snack to tide you over, and bug spray. This is hungry work. Don’t forget a pocket knife to cut them off at ground level (leaving the roots intact), and a mesh bag to collect your treasure. Lastly, a cell phone is imperative for safety. Alright, I’m there. What now? The woods are a mighty big place. Think like a mushroom. If you were a mushroom that loved sun and rain, where would you be? Later in the season, when it gets really warm, where would you be? Early in the season, hit the south facing areas that soak up the sun and the rain. I like to stay near the outside perimeter of the woods that enjoys both before getting too deep where they are fighting for the warmth and water. Later, when things really heat up – head for cover – just like the mushrooms. Look for dying trees, not too far gone though. When you see one, hike over and look around. Take note of the conditions you find them in. If you are finding them under an elm on the north side of the tree in moderate vegetation, look for more areas just like it. For best selection, if you have the freedom, go on the weekdays as early as you can after sunrise. If not, any time is good. There are lots of weekend warriors heading out on the weekends, some sleeping in a bit. For safety reason, always go with a buddy. Now technically speaking, they first appear when conditions are prime. Soil temps in the 50-53 degree range for a week or so. Overnight temps not too cold. 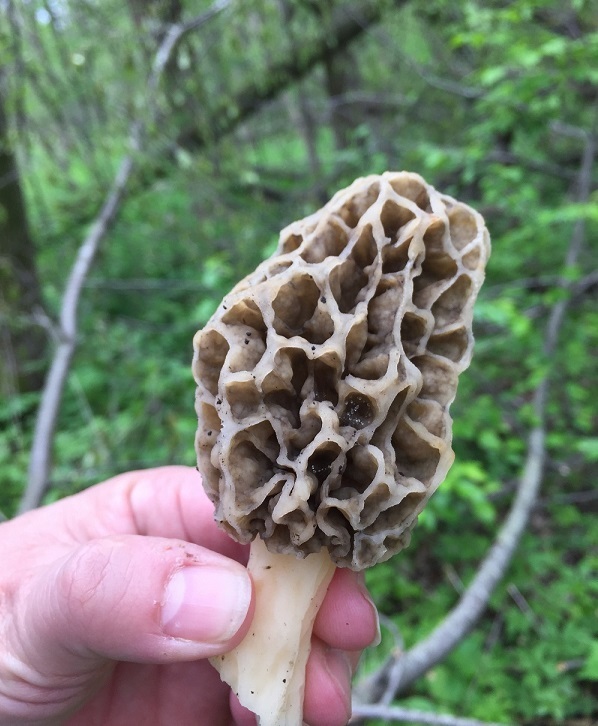 Join or follow your local Facebook morel group, where “first finders” will report when they are starting to pop in your area. 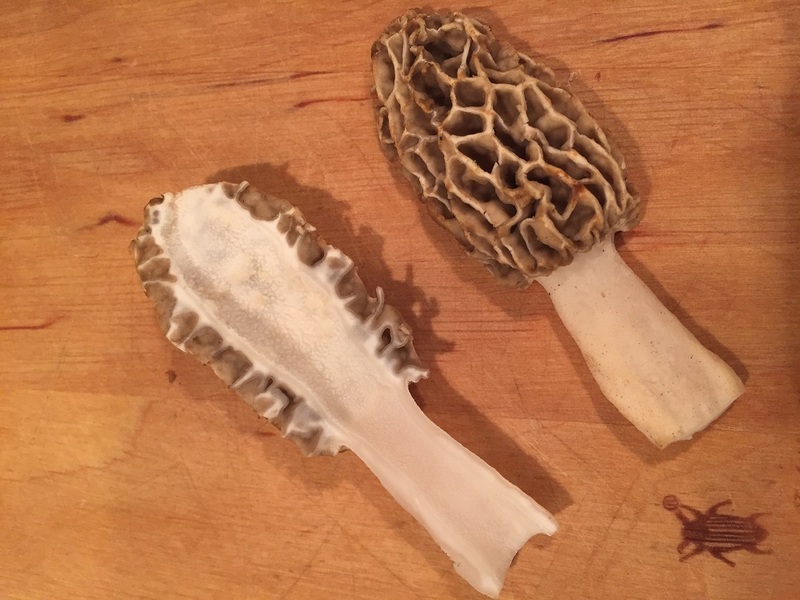 How do I identify a morel? My usual and constant mantra and disclaimer (and this is important! ): Be sure that you are an expert in identification! If you are not, consult with one prior to consuming. Consuming the wrong wild mushrooms can be fatal. If you have ANY doubt – throw it out! Continue at your own risk. The outline of the mushroom should be continuous – almost like tracing around your hand. It should not overhang the stem. When you get it home, cut it in half – it should be hollow all the way through. If it has any solid parts, or if there is any cotton-like substance throw it out! Again- any doubt throw it out! The season is short, just a few weeks. I see lots of questions, “Should I go today?” The answer is a resounding, “Yes!” Enjoy the fresh air, the woods and nature. Get away from all of the technology and distractions of today. Take your kids and spend some time with people you care about. Have a cool hobby and passion. Even if you don’t find any mushrooms, you win.